I originally developed an interest in Physiotherapy as I wanted to help people be healthier with a therapeutic approach. After graduating I worked in a variety of areas of health before focussing on musculoskeletal physiotherapy. In the last 16 years I have worked with many client groups including those with sports injuries, pregnancy related musculoskeletal pain, lifestyle related injuries and long term conditions, both in this country and in New Zealand. My interest in biomechanics and how the body adapts when in pain or injured has led to successfully treating many long term conditions in addition to more acute injuries. I love the analytical aspect of physiotherapy: identifying the underlying problem, treating the symptoms and educating/retraining the body to recover fully and avoid future dysfunction. I examine the body as a whole and assess how each joint interacts with each other to determine where the original problem lies in addition to treating the pain. My experience as an Extended Scope Practitioner, working alongside Consultants, required me to be able to order x-rays/MRIs and determine the appropriate treatment for an individual, whether that be physiotherapy, podiatry, self management or surgery. I am therafore able to quickly identify if physiotherapy is appropriate or whether a surgical/consultant opinion is necessary. 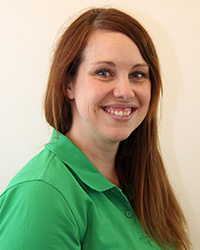 I am skilled in a variety of techniques including soft tissue release, manual therapy, taping, exercise prescription, postural advice and pain management education. I also have a special interest in Acupuncture and use this alongside my physiotherapy skills to reduce pain with excellent results. Maintaining high standards is extremely important to me and I regularly attend post graduate physiotherapy courses and read current research to ensure I am giving the best possible up to date care to my clients. In addition to my work I have a busy personal life. Exercise is very important to me and I enjoy the gym plus kickboxing. I have two young children so understand how difficult it can be to fit sport/fitness/exercise into a busy life. I aim to help clients to achieve this with different strategies and approaches so please make an appointment and we can focus on achieving your goals!